Historically part of Lancashire, Kirkby is a town in Merseyside’s borough of Knowsley. It has a population of around 40,000, and a good range of affordable housing. At My Home Move Conveyancing we’ve been developing our knowledge of property markets like Kirkby’s since 2001, allowing us to bring our clients in the town an outstanding, specialist conveyancing service. When buying or selling property in Kirkby, you need to instruct property lawyers to carry out the legal work on your behalf. 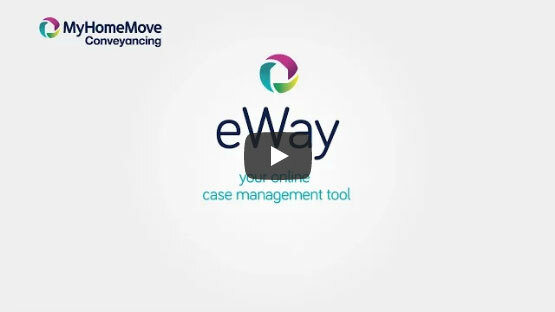 My Home Move Conveyancing offers our clients in Kirkby an award winning level of customer service, innovative use of technology and intimate knowledge of the local market. Our professional, friendly conveyancing service comes with no hidden extra costs to worry about. You can budget for exactly how much you’re going to pay from the outset when we act as your Kirkby conveyancers, and if you don’t end up completing for some reason, you won’t have to pay us anything in legal costs. We’ll assign you a dedicated conveyancer who’ll take care of all aspects of your case from start to finish, providing you with a consistent point of contact and regular progress updates. At My Home Move Conveyancing we get things right first time round, which helps us achieve more completions per year than anyone else. We’re proud to provide our conveyancing services in Kirkby to house hunters looking for something close to the town centre, by Webster Park and in neighbourhoods like Northwood, Southdene and Westvale. The average house price in Knowsley is £118,047, while the overall average sale price in Kirkby over the last year was lower than this at £100,635. Most sales involved semi-detached properties which went for £107,076, with terraces fetching £75,710 and detached homes £162,072. Although Kirkby is thought to have been founded around the year 870, there’s evidence of Bronze Age settlement in the local area. The town remained a small village for many years, and was largely farmland until the middle of the 20th century. This was when Kirkby became popular as an overspill area of Liverpool, with a trip to the centre of the city being less than nine miles from Kirkby. There are trains that reach Liverpool Central station in less than 20 minutes, making Kirkby a great place to live if you want to commute to the city. The town has great access to the M57 motorway which passes right by Kirkby, heading south to the M62 which can be used to get to Manchester. When you want to go on holiday, Liverpool John Lennon Airport is less than 15 miles away. There’s a good selection of schools in the area for families with children to take into account, including Eastcroft Park Primary, Kirkby CofE and Northwood Primary. For older children, Kirkby High School provides secondary education, while All Saints Catholic High School has its own sixth form. For further education facilities, try Knowsley Community College, which has a centre based in the heart of Kirkby. All properties in Kirkby will fall within one of the following council tax bands.